Retta joins the ladies LIVE at The Little Modern Theater to discuss the 100 pound scrotum, Lindsay Lohan, pole dancing and more! Then guest Chef Chet Ricky Carmona drops by to serve up some cocktails. 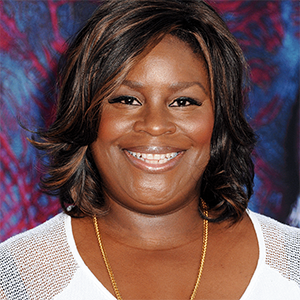 Retta, is an American stand-up comedian and actress. She is best known for her role as Donna Meagle on NBC’s Parks and Recreation. She has appeared in several films and television shows, and has performed stand-up on Comedy Central’s Premium Blend. She stars as Ruby Hill in NBC’s Good Girls.